1. It expands coverage for telehealth and virtual care.One of the most significant changes affecting nephrologists is the CMS’ expansion of coverage for telehealth services. Now, physicians will be paid for time spent checking in with patients who are Medicare beneficiaries via telehealth services or other virtual communications devices. And if a patient asks you to review a video or image to determine if they need to come in for an on-site visit, you’ll be paid for that time as well. This is especially helpful for physicians with home dialysis patients, who often spend more time utilizing telehealth services. 2. 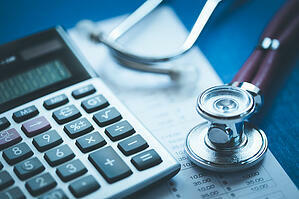 It increases physician payment rates. In 2018, the CMS conversion rate was $35.99. This year, it’s being raised slightly to $36.04 and reflects the Medicare Access and CHIP Reauthorization Act of 2015’s required budget-neutrality adjustment. The new rule updates the adjustment factor to 0.25%. 3. It offers new coding and payment changes to reduce administrative burdens.The CMS has made code and payment changes designed to improve payment accuracy for all evaluation and management visits. Instead of re-entering the information themselves, physicians can now review and verify data entered into a patient’s medical record by an ancillary staff member. Additionally, if a physician has already reviewed and updated information previously, they will not need to re-record required elements and can instead focus on documenting any changes since the last visit. Eliminating this duplication process can save time and give the physician more time to focus on the needs of each patient. 4. It includes Merit-based Incentive Payment System (MIPS) quality measure updates.The rule adds eight new MIPS quality measures, half of which are based on your patients’ reported outcomes. The CMS is also removing a whopping 26 quality measures and adding an opt-in policy for clinicians excluded from participating in MIPS for failing to meet the low-volume threshold. Additionally, the CMS is increasing the small practice bonus to six points to practices in year three of the Quality Payment Program (QPP), and it’s including those points in the clinician’s Quality performance category rather than as standalone bonus. While not all changes may positively affect hospitals, clinics and other healthcare organizations, some of these updates are especially beneficial to nephrologists. Expansion of coverage for telehealth services should help facilitate your patient communications in 2019 and beyond.